According to Guerlain, Shalimar was inspired by a love story of Shah Jahan and his wife, Mumtaz Majal. Upon her death, Shah Jahan build a mausoleum in her honor, which is Taj Mahal. The fragrance was named after the Gardens of Shalimar, so beloved by Mumtaz Majal. Whether the story is true, or just an example of clever marketing playing upon the contemporary fascination with the exotic, the magic of Shalimar is indisputable. Ever since it was launched in 1925, it has been an important trendsetter for so-called oriental fragrances, perfumes inspired by the aromas of the East. The initial sensation is of cool citrus burst that quickly melds into a rich floral heart. The undercurrent of dark sensual pervades even the initial chilly note, setting the stage for the warmth of the base. Vanilla stands out rather strongly against the backdrop of bergamot, which while fading by the time fragrance dries down, nevertheless maintains its pleasant astringency. The interplay between cold and hot is the most magnificent aspect of Shalimar. The eau de toilette and eau de parfum are lovely, but the extrait de parfum is incomparable, as is the case for most of the Guerlain fragrances. Bergamot is much softer, while the dry down is remarkably luminous and rich. For a similar idea, but different aura, Jicky is my preferred fragrance. In fact, many perfumers think that Shalimar was created when perfumer Jacques Guerlain added a heavier than necessary doze of vanillin to Jicky. Imagine sitting by the pool and eating lemon-jasmine sorbet. The wind is carrying the scent of blooming orange groves and briny sea air. Unlike traditional Shalimar, Eau Légère, introduced in 2003, skips the leather-balsamic portion of Shalimar and juxtaposes the cool lemon with creamy vanilla and woods. It was created by Mathilde Laurent, a young in-house Guerlain perfumer, however in 2004, Jean Paul Guerlain slightly changed the composition. Shalimar is the full blown fin de siècle decadence, resplendent in its radiance. Shalimar Light is like its reflection in the water. It is still an ornate Guerlain composition, but far more restrained. It is lighter as the name suggests and less complex. Nevertheless, it is an interesting take on the beautiful classic Shalimar. 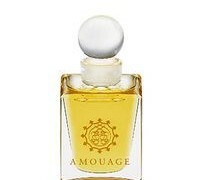 Eau Légère, on the other hand, is effervescent and lighthearted, yet preserving the seductive quality of the original. Out of all Guerlain reformulations, Shalimar appealed to me the most. It has the character of the original, with the dark, rich, oriental accord still intact. Of course, it is missing the radiance of ambergris and some natural animalic notes in the original, but frankly, if it is a choice between a nice perfume and ecology, I will take the latter. The genius of the effervescent bergamot juxtaposed with the dark, rich vanilla still amazes me, despite this idea being used extensively in many fragrances created since 1924. I also compared the parfum concentration and the available eau de parfum. The leathery-castoreum notes are not as pronounced in the EdP, but the essential Shalimar structure is in place. For the richness and complexity, I prefer the parfum. JennyJo: I tried to love Shalimar from when I was 16 or so and never managed it. I always felt choked and miserable by it and gave up after trying for about 20 years. 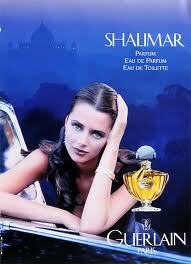 The other day I was at my local perfume store and I tried Shalimar EdT. I loved it and the sales lady filled a tester for me to try at home. My husband adored it and so did I, we love the sharp citrus at the start and the soft wood-vanilla after that. It made us happy and we couldn’t stop drooling over it. I returned to the shop, to buy a big bottle, but the sales assistent (not the lady who gave me the EdT sample) said I absolutely should buy the EdP or the perfume, as the EdT was not like Shalimar at all. So I tried the EdP again and felt sick again smelling it. He then let me try Shalimar Parfum Initial, but as I had fallen in love with Shalimar EdT that didn’t work. So I left the shop with nothing, feeling very stupid about myself for loving such an utterly wrong version of Shalimar. A) A fragrance is a matter of personal choice and skin chemistry. Does not matter if it is an ICON or not! If it works for you, it is yours! B) There is nothing like a “wrong” Shalimar; only a right one that works for you. After trying samples and samples of Shalimar EDP in the last year, hoping against hope for my nose to fall irrevocably in love, I chanced upon Shalimar Initial version, which worked so much better on my skin. I still shudder at the initial blast of Bergamot/Citrus (its getting better) but patiently wait a couple of minutes for it to lift off to reveal the notes in the middle and at the base. Those are my favourite notes as they stay so close to the skin and comfort me. If Shalimar EDT does that for you, GO FOR IT! You have not loved the wrong Shalimar. You have just discovered a Shalimar concentration/version you love and the one which works perfectly for you! Either way, remember, the Shalimar you get today, as glorious as it might be, is not the original recipe, but a reformulation of the original anyway. Even if for this reason alone, you really have nothing to feel bad about. JennyJo: I love many Guerlain’s and L’Heure Bleue has always been my ultimate comfort scent, even more so when I was going through chemotherapy for breast cancer. During that time, whenever I was anxious or depressed I would go up to our bedroom and sniff my HB and it never failed to comfort me and calm me down. So I so much wanted to love Shalimar as well, decided to try again and fell head over heels in love with the new EdT. 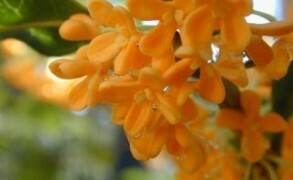 “…A) A fragrance is a matter of personal choice and skin chemistry. Does not matter if it is an ICON or not! If it works for you, it is yours! I think that’s the point, there’s something in Shalimar that violently disagrees with me in certain quantities and it just doesn’t seem to wear off, so after half an hour there’s nothing else for me to do but scrub it. In the EdT, because of it being so much lighter, this doesn’t happen. I will give it a go this month along with L’Heure Bleue when I get the chance. I am fairly new to Guerlain and have just tried a handful of them. Its been a mixed bag of hits and misses. But I am enjoying exploring the line. JennyJo: Thank you so much for your kind words, I’m doing very well, I’m fit, healthy and happy. I’m not that young anymore btw, the last time I sniffed some Shalimar was when I was pregnant with my daughter (who is now 24) and that was also the last time, I decided to give it up then and there. Then came the internet I discovered there was such a thing as perfume bloggers who were all raving about Shalimar, so I decided to pluck up my courage and give it just one more try – and there was this wonderful EdT. Victoria: What a lovely image! I’m so happy that you found your Shalimar. The EDT is great, and there is nothing wrong with it. It has such a gorgeous shimmery top layer of bergamot and lemon, and it’s always a surprise when the vanilla rises up to meet it. I love the parfum too, but lately I’ve been wearing the EDT during the summer. Shalimar Light is another great version. Niyah: Awww, thank you for your sweet words Victoria. It is such an immense pleasure to read all of your insightful fragrance reviews and articles. Cannot tell you how much I admire your hard work on this blog. In the last year or two, that I have been following your blog, I have learnt so much about various fragrances, ingredients, fragrance houses, iconic perfumes and so much more. It has literally broadened my olfactory palette. And introduced me to so many treasured gems…for that, and the many happy hours I get to spend here, I remain eternally grateful. Thank you. I just tried this scent today to experience it for myself. I happened upon a bottle of the Eau de Cologne at Marshalls and snatched it up, eager for my initiation to this most sacred of scents. When I got to the car I opened the box and gasped at the beautiful bottle and sprayed my wrists and inner elbows, then I got in the car. I was enveloped by the most heavenly sensation, like being in an incense filled cathedral. It was so beautiful I knew I was in love. As time elapsed and my chemistry had time to react though, the Iris made itself known. Within 5 minutes I had to put the windows down. The Iris was rotting all around me. By the time I got home I had a terrible headache, but still resisted the urge to wash. Within an hour and a half the Iris was still there, but she wasn’t rotting anymore. She seemed to have met up somewhere with Coty powder and brought her along to hang out on my skin. Fogdew: Hi Victoria! I have just spritzed Shalimar on my arm for the first time in my life. My sister brought me a big one from USA, for its not sold here. Im glad she got a big one! I love it, its SO COMPLETELY DIFFERENT from everything! It reminds me of Kenzo Elephant, but not really. I guess I mean I recognize a note from there. I dont know, I think of cookies. I guess I can mix it up with my coffee perfume, *** (that was supposed to be a joke). I am really excited that Im trying it after reading so much about this perfume everywhere! I just wanted to come here and tell you, for you’re my favorite perfume writer. I waited about 4 months to be able to feel this scent, I even bought Parfum Initial because of it, for Sephora sells some Guerlains but not others (I dont know how they choose the ones to sell here and the ones they won’t, I guess they only sell the most commercial ones). It’s settling so good in my skin, blending very well, Im so pleased! Kaitlin: I tried my sample of Shalimar the other night…and was so disappointed. I got a distinct licorice smell that just wouldn’t leave. I tried to find other notes and from certain angles, they seemed to come through for me. However, any time I caught the licorice smell I felt overwhelmed. Akash: I love your website and have been a regular reader for many years. I’m planning on buying my wife a classic as an anniversary gift and Shalimar is always a candidate. Your review, as always, is wonderful.